The US Army will have the first of 83 new, up-gunned Stryker vehicles fielded by the end of fiscal year 2018, stated Col. Glenn Dean, Stryker programme manager, US Army. Col. Dean was speaking at the International Armoured Vehicles (IAV) show, in Twickenham London this week. Quoted in a US Army news article, Dean said $20 million had been saved in the Stryker Dragoon programme. "We're so far under budget, we were able to start a second upgrade programme with the money we saved," he stated. With the money saved, the programme will roll out the new fleet of Strykers with the ECB2a remote weapon station improvement, which gives greater flexibility to employ currently assigned weapons. The ECB2a upgrade can also integrate the javelin launch systems, giving commanders another option to deploy anti-tank missiles or even more of them at the same time, stated Dean. A second lethality program, the ECB2b modified improved target acquisition system, or MITAS, is also under development, but it will be funded separately. Col. Dean stated that these two efforts combined will encompass approximately 70% of the Stryker fleet. 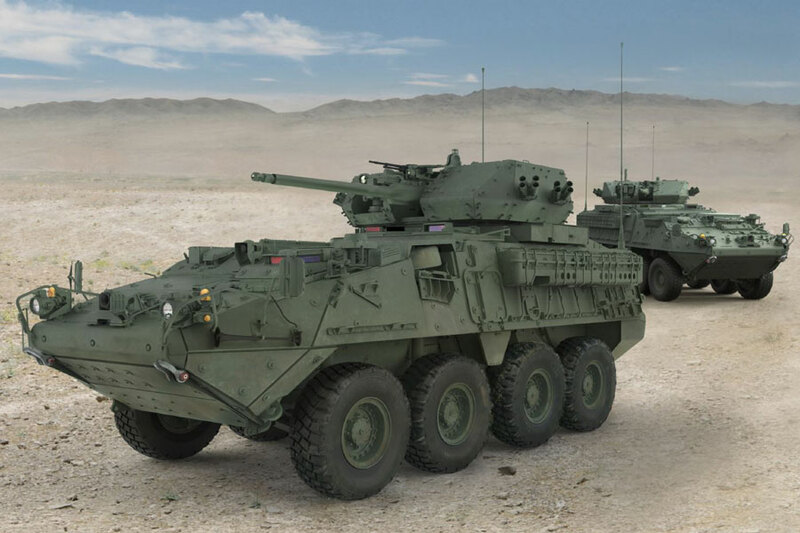 Mobility enhancements are also planned, alongside upgrades to electrical power, mechanical power, in-vehicle network, and the chassis of many Stryker vehicles. "Ultimately, these upgrades will go to refit all of the double V Stryker brigades in the force," he said. He added that a Stryker demonstrator vehicle had been fitted with a mobile expeditionary high-energy laser, and there was talk of adding technology to counter unmanned aerial systems, but it was too early to determine if those variants would be rolled out. 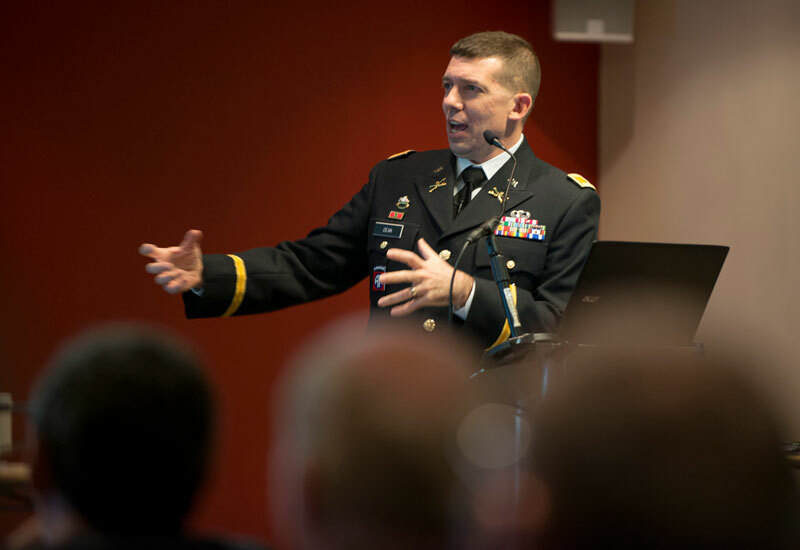 An operational needs statement for increased lethality for the Stryker vehicles was first submitted to the House and Senate Armed Services Committee on the 30 March, 2015, by 2nd Cavalry Regiment Commander Colonel John Meyer. Although the Strykers received survivability upgrades during their deployment in Iraq and Afghanistan, lethality and mobility were not enhanced. But when the US caught sight of Russia’s upgraded combat vehicles, which were used during its incursions into eastern Ukraine, lethality upgrades became a top priority for the US Army. Col. Meyer requested the Stryker IAVs be fitted with 30 mm cannons. This armament was originally part of a larger concept for fleet-wide lethality upgrades before the 2nd Cavalry Regiment selected it for rapid fielding through the operational needs statement. The first $8 million contract with the Stryker manufacturer, General Dynamics Land Systems (GDLS), was signed in September 2015 and expanded to $75 million in January 2016. Soldiers with the 2nd Cavalry Regiment out of Vilseck, Germany, will get in-depth training on the new Stryker at the US Army’s Aberdeen Proving Ground before it is handed over to the Dragoons, which will be the first US Army unit to receive the upgraded vehicles. Speaking at IAV in London this week, Col. Dean, stated the gunnery training plan will support fielding of the vehicle next year. "We'll have a number of crews come over, and they'll get to operate and drive the vehicle," he stated. He said the 30mm cannon would not be fitted on all Strykers. "Part of the decision on how many for the future will depend on what 2nd Cavalry Regiment has to say on what works or what doesn't work, or if we have enough or too many," he stated in a US Army news article. More of the powerful cannons could be fitted on future Stryker vehicles, if things go well.